The paradoxical expression used by Huxley’s woodwork teacher – sharp enough to cut off a dead mouse’s whiskers without its waking up – is a more explicit form of one recorded in P.W. Joyce’s Hiberno-English treasury English As We Speak It In Ireland, where a razor is said to be so sharp that it ‘[would] shave a mouse asleep’. A very intelligent Limerick man once told me that the best razor hones in the world are procured in the following way:—cut a piece of holly into the shape of a hone and secure it at the bottom of the lake: at the end of seven years you will have, not a piece of holly, but a real hone, so excellent that it will make a razor sharp enough, as he expressed it, to shave a mouse asleep. Geologists tell us, however, that the water of Lough Neagh has no petrifying quality. I was initially unsure of this expression, wondering if it meant the razor was so fine it would lull the creature to sleep, or if the mouse was already asleep and the blade would not wake it. That is, would it shave a mouse to sleep or one who was asleep? Huxley’s teacher’s line corresponds to the latter, as do other sources I found since. Sometimes, as in Frank Wilstach’s Dictionary of Similes (1916), it takes the unambiguous form shave a sleeping mouse [without waking it]. 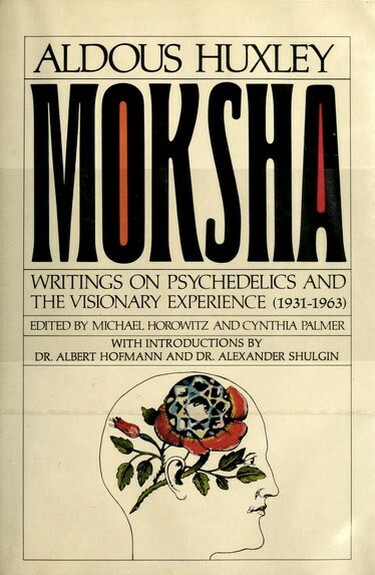 Laura Huxley’s essay appears in Moksha: Writings on Psychedelics and the Visionary Experience 1931–63, edited by Michael Horowitz and Cynthia Palmer. Published as a Flamingo Modern Classic in 1994, the book is a collection of essays, letters and lectures, and is available in full at the Internet Archive. The unusual word moksha refers primarily to a form of liberation in Hindu philosophy; Huxley repurposed it in his remarkable utopian novel Island – his last major work – where it is the name of a kind of medicine. This entry was posted on Tuesday, August 25th, 2015 at 10:41 am and is filed under animals, books, language, literature, phrases, words. You can follow any responses to this entry through the RSS 2.0 feed. You can leave a response, or trackback from your own site. Possibly, but it’s unclear. And joke or not, it’s still paradoxical – not that I object to that at all. Thanks for the quaint mouse comment and the wonderful Australian film, Stan! You’re welcome, Vinetta – thanks for reading! Is ‘shave sth to sleep’ English usage anywhere? I’ve never heard it, which doesn’t mean that it’s not usage somewhere. I don’t think so, David. Google returns the phrase “shave a mouse to sleep” only once, except for this post, and I’m inclined to think that example comes from misinterpretation of shave a mouse asleep, by analogy with other constructions along the lines of [verb] X to sleep.